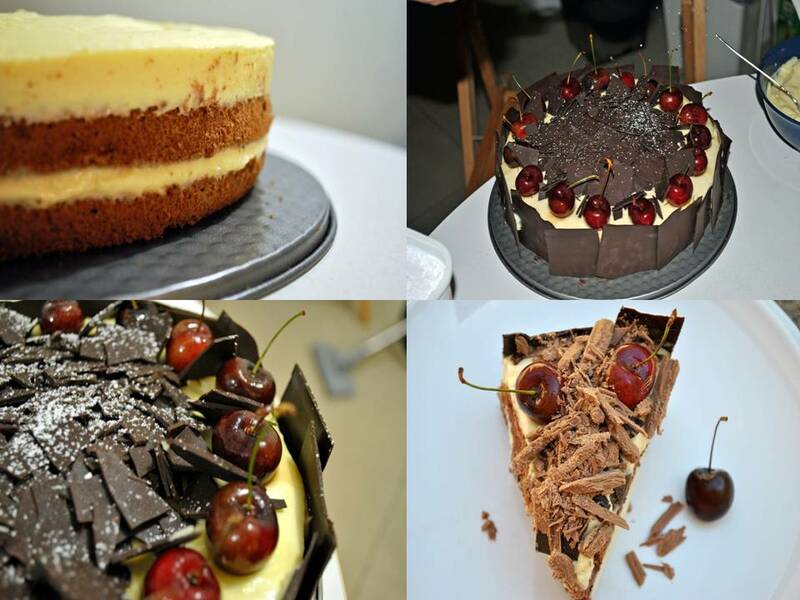 9 comments on "Durian-Chocolate Tiramisu with Champagne Glazed Cherries"
Hello! Long time no see! This is a gorgeous cake and you still leave wondering about the combination of chocolate and durian. Bet your friend is awfully delighted! It's been a long long time since your last post! Welcome back to baking. Good to know that you have settled down in Perth. This chocolate cake looks really very pretty. I like the way you decorate it with the chocolate rectangle. I don't really know how to do it, thanks for sharing.